Venice is one of the few places in the world where every time you go, even after years, it seems to be suspended between reality and imagination, and where the former always exceeds the latter. Even if you have the incredible impression of being plunged into another world (for those who are not used to it) is all wonderfully true and unique. Do you also have one or two days off? 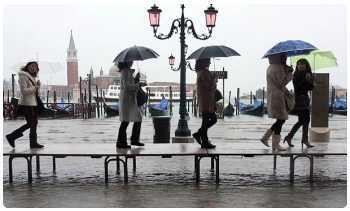 Well, go to Venice and feast your eyes. Its scenarios will calm you down. A little break will seem like a piece of eternity. Those who really understand the true soul of Venice would consider every corner of this city to put it on the cover of a travel guide: whether it is one of the most famous tourist attractions, a small church, a bridge, a souvenir shop or a small street a bit anonymous. 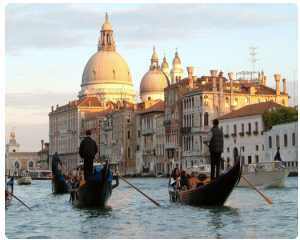 Venice is a work of art in itself, a large open-air museum, included by UNESCO in 1987 in the list of World Heritage Sites. The city is home to artistic and architectural elements unique in the world, which after centuries of such splendor still attract millions of visitors. 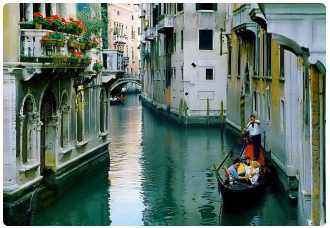 Many cities are called, the Venice of the North or the South for the simple fact of having canals, or being formed by a set of islands. Some of them are beautiful, like Amsterdam, Bruges or Stockholm, but none are comparable, not even remotely to the original. Every day, thousands of tourists come to the city from all over the world, not only to admire the most famous attractions but also to attend famous events, including Carnival, the "Biennale del Cinema" (Movie Festival) and many others. 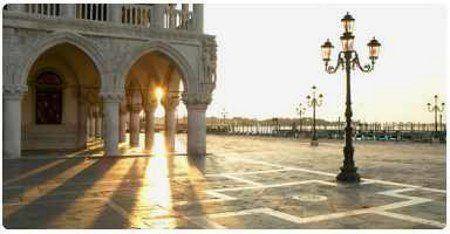 Venice is a city of indescribable charm, one of those few places to visit at least once in your life. Lord Byron described it as a place of immortal beauty, praised and loved by many before (and after) him. A city that according to historians was born around the fifth century, built on swampy land and surrounded by the sea, seasoned with a series of complex canals, which later became popular for the colorful Venetian gondolas. The "city of bridges", as it is commonly called, extends along the mouth of the rivers Po and Piave rivers and has developed historically into one of the most powerful cities in the Mediterranean; for centuries and during its heyday was the Serenissima Republic of Venice. Today, of its more than 270,000 inhabitants about 60,000 live in the historic center (city of Venice proper), the rest resides in the so-called "mainland" of Mestre and in the hundreds of islands of the lagoon. The area includes 118 islets, located in the districts called 'sestieri' (which are six in total) of which the most famous are Cannaregio, Santa Croce, San Marco, Dorsoduro, San Polo. Other important districts include the islands of Murano and Burano and Mestre, the latter is connected to Venice by a bridge five kilometers long. Street names are written in small white squares on the outside of buildings and are called "nizioleti". The 'calli' are instead the streets, with unusual names and usually taken from a historical event that took place right on the spot, or from the work of people who lived in that street or square, as well as in other historical Italian cities. 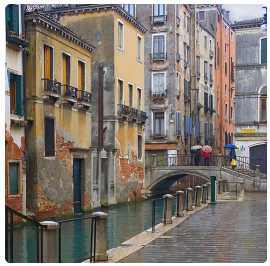 The real streets in Venice, however, are the canals, as evidenced by the fact that the main door in the ancient buildings was, and is, the one that always led to the waters. Between one street and another, a small and one large canal, the city is slowly discovered by the visitor: the only pedestrian city in the world is in fact easily accessible on foot and the absence of cars makes the experience particularly enjoyable. However, walking and still standing all day can also be tiring, so it is good to organize well before you start your sightseeing tours. The Rialtine Islands, the tourist area par excellence, are sufficiently small and therefore easily passable from one end to the other in about an hour. Waterbuses, or Vaporetti, are generally the best way to get around and are cheaper than private water taxis. If you want a romantic trip along the canals the gondola is obviously an experience not to be missed, but get ready to spend a lot of money. It becomes almost impossible to get around the city without a good map at hand, as mentioned above Venice is divided into sestieri and the houses are numbered by "sestieri" and not by "Vie". Often, orientation becomes easy only if you know the proximity of a monument, an attraction or anyway a famous place. The city's monuments and tourist attractions have fascinated travelers for centuries, and continue to do so today. The decadent buildings have never seemed so romantic as in Venice, where the soft tones of secular palaces are reflected in the waters of the canals with an elegance never seen elsewhere. The slow flow of the gondolas, the visit to St. Mark's Square or simply, sipping a coffee near the Bridge of Sighs, become unforgettable experiences for anyone who has been lucky enough to live them. 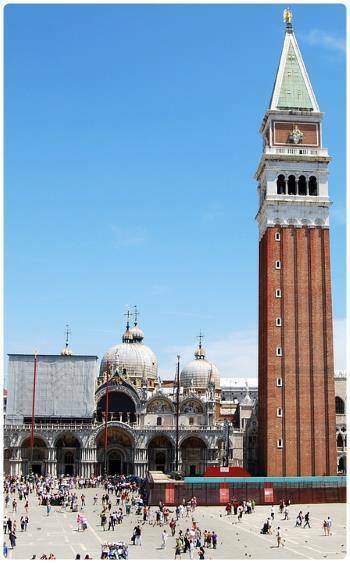 Along the Canal Grande and its narrow tributaries, the gaze rises, from the Bell Tower of San Marco, to the domes of the churches and the Renaissance palaces, to rest gently on the arched bridges and hidden streets. The crowd of visitors is captured by the beauty of the mosaics on the ceiling of the great Basilica of San Marco, one of the most important architectural monuments in the world and a cultural bridge between Europe and the eastern gate, Byzantium. Since 1094 the church (which became a cathedral in 1807) offers a fascinating mix of styles and ornaments unique in the world: the ceiling is a set of mosaics in gold and bronze, embellished with an invaluable variety of stones depicting biblical scenes. The current building is a replacement for an earlier church dating from the year 828, built to house the relics of St. Mark recovered by Venetian merchants from Alexandria. The relics are now located under the high altar of the church. The Serenissima was ruled by the "Doge" and the Doge's Palace of Venice was their base: it was used for a variety of different functions (from residence to court, to prison, to administrative and ceremonial center of the Venetian Empire) and can still be admired today overlooking the lagoon and one side of St. Mark's Square. Its lower facade, reworked over the centuries, is distinguished by the porticoes and columns that gently support the weight of the entire building. Inside there are precious works of art by Giovanni Bellini, Tintoretto, Titian, Veronese, among others, not to be missed is also a visit to the room that houses the frescoes of the world maps once known. Art in Venice hasn't passed away, as demonstrated by the grandiose Peggy Guggenheim Collection, one of the most important museums in the world for 20th century art, with artists such as Magritte, Picasso, Kandinsky, Pollock, Ernst, Giacometti, Brancusi, Braque, Dalí, Léger, Mondrian, Chagall and Miró, just to name a few, absolutely not to be missed. If you think you are lost and suddenly you see the profile of a rather strange bridge, then there is no need to worry, you are in the center. 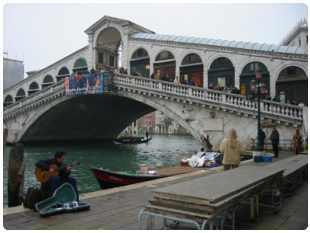 The Rialto Bridge is one of the eternal symbols of Venice, at different times several wooden bridges were built here, but they were all destroyed by fire. In 1444 the bridge collapsed under the weight of the crowd gathered to see the wife of the Marquis of Ferrara, Leonello d'Este, Maria of Aragon, illegitimate daughter of Alfonso V of Aragon. Today's bridge is made of stone and was built in the 16th century. We can not finish this brief overview of the city without talking about the famous 'high water', which often becomes a reason for joy and happiness, a centuries-old tradition and one of those moments to be immortalized in a photograph. Technically speaking, the phenomenon occurs a couple of times a year in the presence of a very high tide: low atmospheric pressure and strong winds force the waters of the Adriatic Sea to head into the lagoon. In the following pages we will be able to tell Venice a little more closely, hoping to be able to keep with us the truest and most real soul of this unique Italian city, a business card of the country that the world envies you. So, good Venice!